Things to do for Free in Kuala Lumpur. What to do in Kuala Lumpur. In world terms, Kuala Lumpur is a relatively affordable place to visit, but compared to the rest of Southeast Asia it is expensive. Especially many tourist attractions are overpriced. Here are 9 things that you can do for free in Kuala Lumpur. 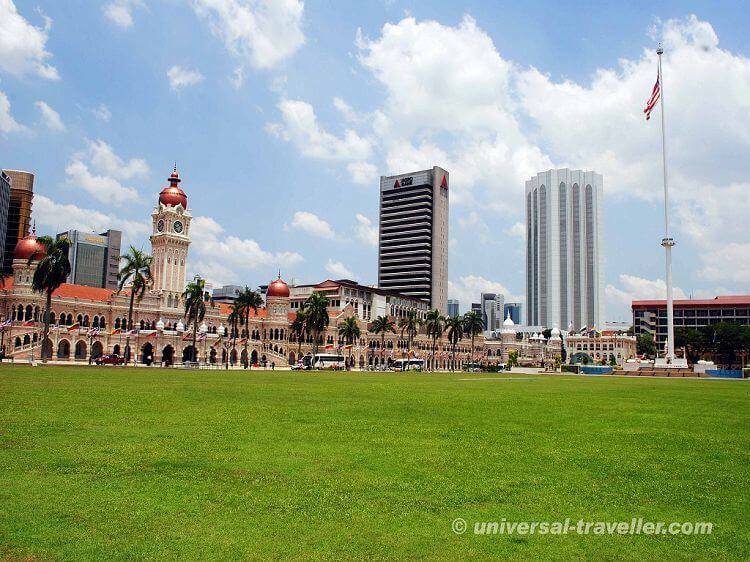 The Merdeka square, also called Independence Square or Dataran Merdeka is situated in the center of Kuala Lumpur and is an important place in the history of Malaysia. The 100 metre-high flagpole marks the place where the Malayan Flag was hoisted on August 31, 1957 when Malaysia got independent from British rule. Around the square are buldings like the Sultan Abdul Samad Building, the Royal Selangor Club and the National Histroy Museum. 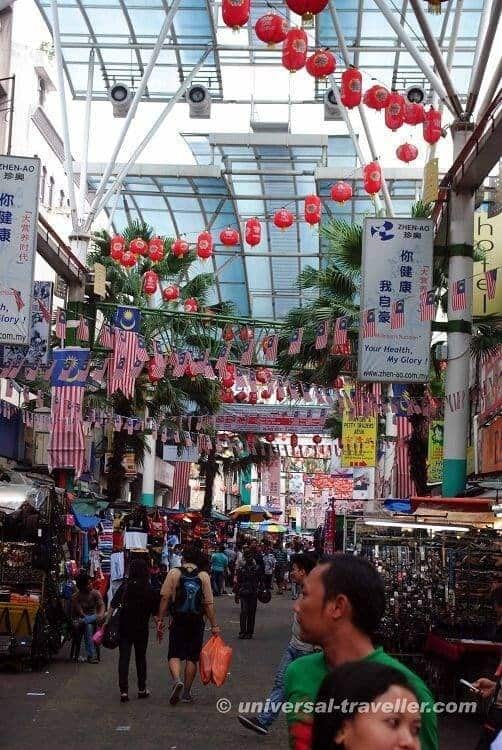 Chinatown is a colourful area in Kuala Lumpur, well-known as bargain hunter’s paradise. The streets are filled with countless stalls offering everything from clothes, shoes, bags, all sort of Chinese herbs to souvenirs and many more. At night, the main market area transforms into a night market. Beside shopping it is a nice place for a cheap breakfast and a good place to have some drinks in the night. Not far away from the nightmarket is also a good Reggae Bar. When you want to taste Indian food like Samosa or want to discover Indian sounds and scents, Little India is the place to go. 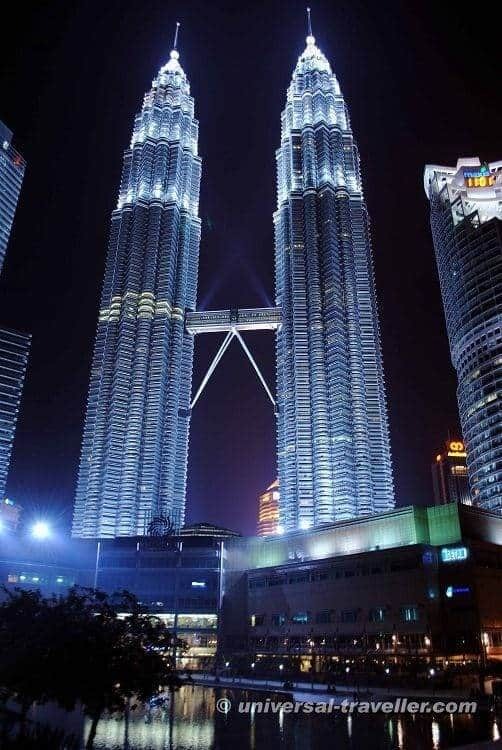 The Petronas Towers in Kuala Lumpur are with 452 meters the tallest twin towers in the world. Not only the high but also the architectural design is incredible, especially at night when the towers are illuminated. When you are in Kuala Lumpur you should definitely go to the cities most famous landmark. Unfortuantely, it is not free anymore to visit the observation deck. However from the square in front of the tower or from the KLCC Park you can take nice photos and it is still worth it to go there. The National Mosque of Malaysia is located in Kuala Lumpur close to the Lake Gardens just opposite the old Kuala Lumpur Railway Station. With a 73 meters high minaret and a capacity of 15.ooo people it is one of the largest mosques in whole Asia. It was built in 1965 as a symbol of Malaysia’s recently won independence. The Design is ultra modern with reflecting pools and fountains. I have already visited several mosques during my travels in many different countries, however this mosque in Kuala Lumpur is so far my favourite one. 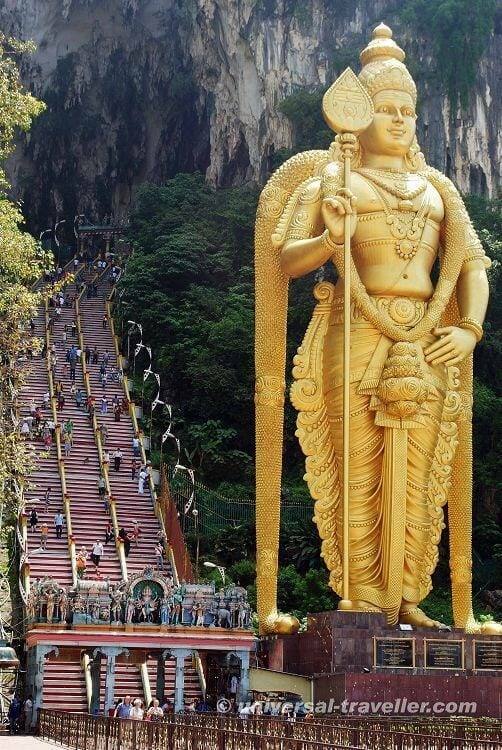 The Batu Caves are situated 13 kilometers north of Kuala Lumpur. They are one of the the most important sanctuary for Hindus in Malaysia and consist of three main and several smaller caves. The Batu caves are 400 meter long, 100 meter high and about 400 years old. They are also famous for its lively inhabitants, monkeys, who will accompany you during the way up over 272 stairs. The easiest way to get to the caves is by train. From the Central Station in Kuala Lumpur you can take the KTM commuter train to the Sentul Station which takes about half an hour. The entrance to the caves is free and they are open daily from 6am to 9pm. The National Monument is one of my favourite places in Kuala Lumpur. 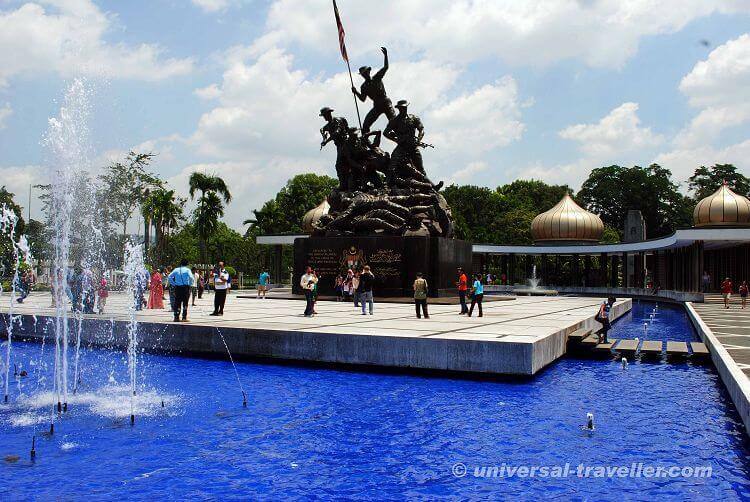 It is a sculpture which was built to remember the soldiers who died fighting for the intependence of Malaysia. It is also the tallest freestanding group of bronze sculptures. The Monument is surrounded by water and several fontains. As it is located on a small hill you have a nice view with the fontains and the city in the background. I really enjoyed sitting here and to rest a while before I continued discovering Kuala Lumpur. 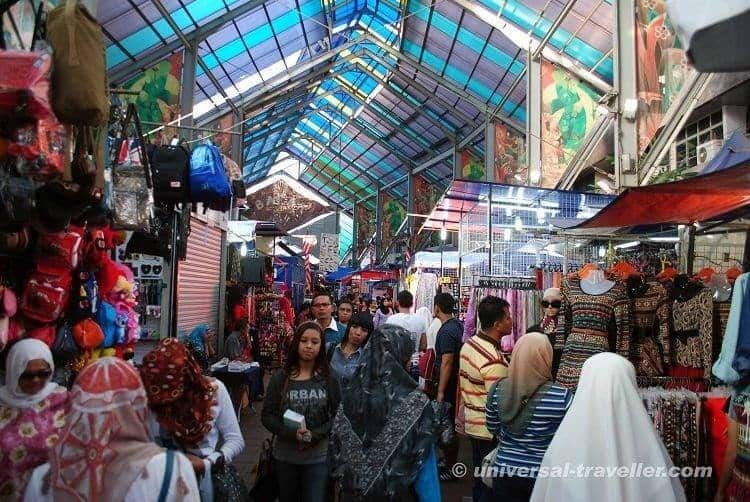 The central market is located in an old bulding called the Pasar Seni. Here you can buy locally made handicraft, batik, songket, wood carvings, souvenirs, accessories or get some food at one of the many eating places. 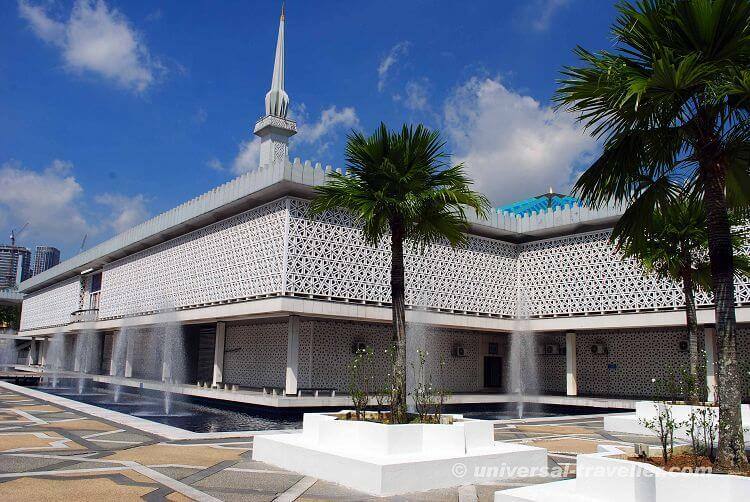 The Lake Gardens are located right in the city of Kuala Lumpur next to famous landmarks like the National Mosque and the Islamic Art Museum. The Garden integrates a Butterfly Park, Bird Park, Orchid Garden, Hibiscus Garden, the National Monument and the Deer Park.